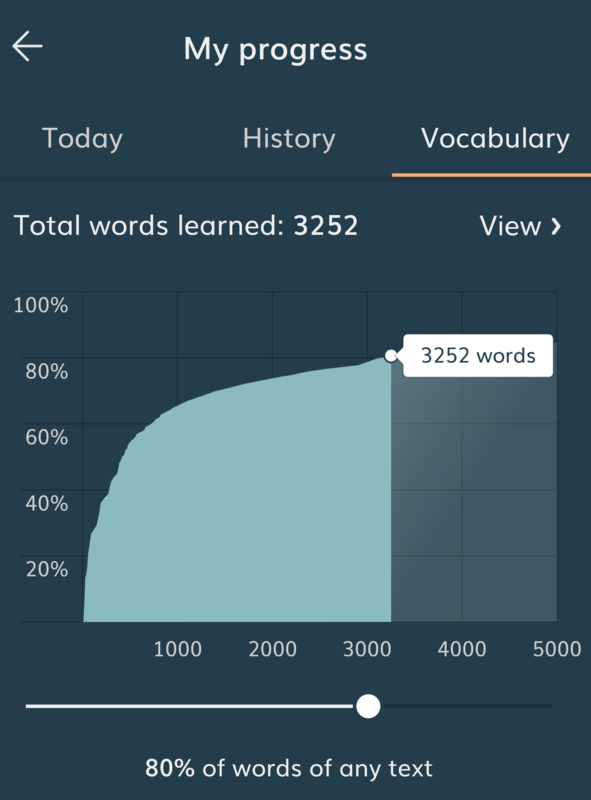 In this language learning method there is a goal of 5000 "words". I think it is better to count "lemmas" instead of "words". learning 5000 lemmas (and all forms of these lemmas) represents a good knowledge of a language but 5000 "words" is not so. I am learning Russian. In Russian the verbs conjugate; every noun has (up to) 24 different forms as well as adjectives an adverbs. in this case learning 5000 word means less than 500 lemmas and even less. Many other languages have similar situations with some differences based on their grammars. I think it is better to make the vocabulary goal for such languages just based on lemmas . I think, that this is a very important thread and it seems to me, that with the current way of counting "words", learners of English (a language with no cases) get the most diversity out of there 5000 words. @maksim I see your point. Also, there is a case when you have the same form but different meaning. It's redundant card from morphological perspective, but has a great sense to learn semantically. Also something to consider during calculations, right? @dev_temp I don't think that's the point exactly. The thing is that if you study 5000 Lingvist cards, maybe 3000 are original 'words' and the other 2000 are conjugated and declined forms of these same words, so it's misleading to say that the word total is 5000. It might be more accurate to call it a lemma total or just a card total. It's something a language learner should be aware of, but obviously not something Lingvist should address. The main goal of Lingvist is to make a person completely new to a language to be able to understand most of an average written text. You don't need to know 24 word forms to achieve that. In most languages there are rules how you incline and conjugate words, so it's enough most of the time to learn one form to recognize the word and it's meaning in a sentence. And that is the goal. Lingvist aims to create a shortcut to that goal and learning every form of every word would make it anything, but a shortcut.